It has been said that the best offense is a great defense. Last year in December, there were two UFC fights (one of which a MAJOR title defense) that illustrate this point very well. In my first example, lets look at UFC Fight Night 33, Dylan Andrews and Clint Hester (former TUF 17 teammates) going to battle, with Andrews favored to win due to his superior striking. Hester was more than able to hold his own and the fight was generally a back and forth draw up until Andrews attempted a wide, looping right hand which Hester deflected using a stop-hit block. The stop-hit was so well timed that Andrews shoulder was dislocated and he was not able to return after the 2nd round. The second, and much more well known fight was between Chris Weidman and Anderson Silva at UFC 168. This was Weidman’s first title defense after he defeated Silva earlier in the year. Silva was much more humble and professional in the rematch, but right from the start did not seem to have the same confidence and speed that he has shown for years. Weidman was dominating the fight when Silva attempted a leg kick to try to break the rhythm. Weidman used an excellent stop-hit block to check the kick and Silva’s tibia broke into two pieces, ending the fight in favor of the new Champ. These examples show how devastating an aggressive defense can be. It is way better to go after your opponent than it is to just cover up and hope for the best. While the Weidman/Silva example may come across to many fighters and fight fans as a fluke, it was a well placed move with forward momentum that went after and defeated Silva’s attack. After an effective stop-hit, you are more likely to be able to take the initiative and go on the offense. In self-defense situations, using stop-hits allows you to disable your attacker(s) while reserving deadly force until it is truly the last resort. Imagine if every time your attacker tries to hit you he finds that limb less useful (or completely useless). Imagine if you add to that strikes to vulnerable areas so you disable two areas/functions at the same time. It doesn’t take long for your opponent to figure out that he doesn’t want to fight you anymore. For me, that is the goal in a fight. If you can accomplish this before it gets physical that is preferred, but if you have to fight make every move count and make your opponent regretful. 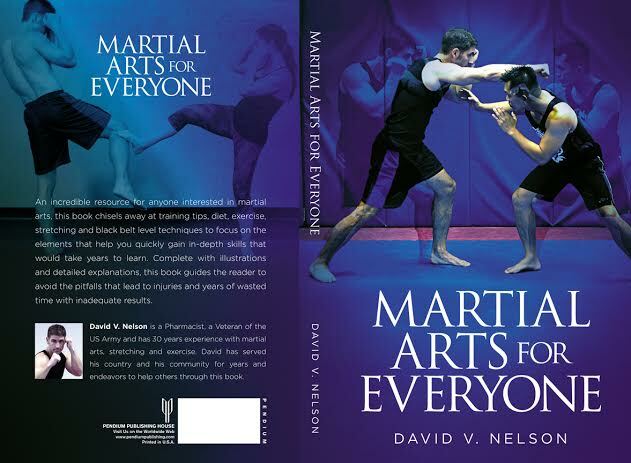 This topic and more are discussed in my new book, Martial Arts For Everyone. Thanks.